What do I need to fully understand Either Or? The only philosopher I've read before is Nietzsche. It wasn't so hard, I became familiar with his concepts and went straight away. Do I need something else for Kierkegaard? General philosophy of Christianity thread- also why are there so few photos/paintings of certain philosophers? 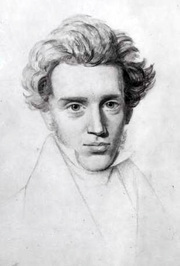 Stirner, Kierkegaard, etc.